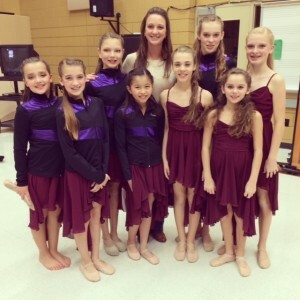 For the second year DQPC’s Elite Company performed in Inaside Dance Chicago’s Youth Summit for the Arts on Saturday, November 23, 2013. Inaside brings together local dance studios to showcase their talent and all proceeds from the show go towards GiGi’s Playhouse to bring the joy of dance to children with special needs. Our DanceQuest dancers had the opportunity to watch the other dances in the show, and then perform “I’ll Be There” choreographed by Emily Speedy. The mother of one of our dancers styled each of the girl’s hair and along with their burgundy dresses they all looked beautiful!